Edwin Chan has long been an architect of great interest to TERROIR given the role both he and Craig Webb have enjoyed in Gehry's office as long-term collaborators who's separate hands affect the projects on which they work such that they are distinguishable in Gehry's ourvre. This perspective will add a great dimension to Parallax. 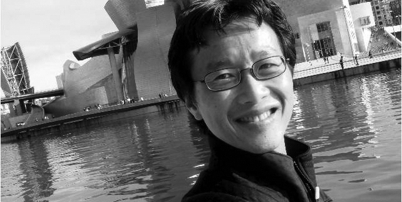 Edwin Chan joined Frank O. Gehry & Associates after graduating from the Graduate School of Design at Harvard University in 1985. He has worked on many of the firm’s most significant projects, including the Nationale-Nederlanden Building in Prague, the Guggenheim Museum in Bilbao, the Frederick R. Weisman Art Museum in Minneapolis, and the hotel at the Marques de Riscal Winery in El Ciego, Spain. Currently Mr. Chan is a Partner of the firm, collaborating with Frank Gehry on the design of a number of projects that includes an office building for Novartis International in Basel, Switzerland and the Louis Vuitton Foundation for Creation in Paris, France, and the Extension to the Philadelphia Museum of Arts. In addition, he also designed The Art of Motorcycle Exhibition for the Guggenheim Museums in New York, Bilbao and Las Vegas, the exhibition ‘Exquisite Pain’ for renowned French Artist Sophie Calle in Luxembourg, as well as collaborating with the Academy Award winning director William Friedkin on the set designs for the opera Ariadne Auf Naxos by Richard Strauss in Los Angeles. In 2008, Mr. Chan received the honor of ‘Chevalier d l’Ordre des Arts et des Lettres’ from the Republic of France.